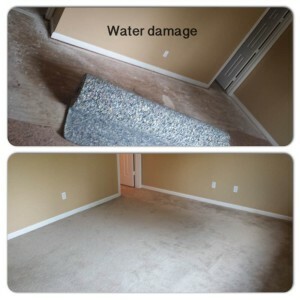 Carpet water damage can be quite stressful for both homeowners and business owners alike. It can happen pretty much at any time whether you’re away relaxing on a nice vacation on a tropical beach or even overnight while you’re sleeping peacefully. Unfortunately, there is not one exact procedure that will that will fix each individual flooding situation. However, there are common questions that must be addressed by professionals like The Carpet Specialists water damage repair houston, who can determine if the flooding is sanitary or not (very important). Some things you need to know is that the carpet must be treated with a proper disinfectant after extracting the excess water. Most people insist their carpet must be replaced no matter what, but this can easily be avoided with a sanitary type flooding situation. The Carpet Specialist water damage repair houston knows that replacing tack strips and pads are necessary as well as a proper re-installation of the affected carpet areas. Extracting the excess water must take place immediately and the carpet should be left to dry (perhaps with the help of fans) for a solid twelve hours. To hurry the drying process the carpet needs to be removed from the tack strip and the padding must always be discarded immediately. Give us a call today for a free over the phone estimate and more information.